Do you have so much makeup and other personal care and beauty products that you need a cosmetic organizer? See recommendations for several varieties to find what will work best for you. Over time you can easily accumulate lots of personal care products, cosmetics, makeup, hair care products, and even more. Then, the real task becomes to organize all these things so you can actually find what you are looking for, and use everything you have purchased. Fortunately, there are many products out on the market which are designed to organize all of your cosmestics, or perhaps just one or two types of a specific kind of product, for you so everything you need is always at your fingertips. If you've used a product that has worked very well for you, please skip down to share your review and recommendation so we can all find something that will work for us. 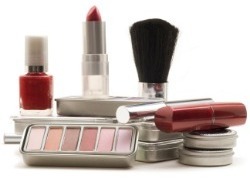 What Products Help You Organize Your Cosmetics And Makeup? I've tried to find some of the most creative and helpful products out there to help us organize our cosmetics and makeup, but I know I cannot have discovered everything.